My husband and I are arriving in Thailand in October and plan to spend 10 days in Bangkok and then move towards Isaan and then eventually down towards Trat and Koh Kut. My question for everyone here is does it make sense to visit Isaan and then cut through Cambodia to see Angkor Wat and then re-enter Thailand near Trat? We will be in the region for 6 months and will be visiting Cambodia later in our travels but geographically it seems we will be close to Angkor Wat and it may make sense to visit since we will be near. What do you all think? I am not opposed to staying strictly in Thailand as well, we plan to travel through Isaan for a couple weeks so that when we arrive near Trat the wet season will hopefully be over. Thank you all for any advice you can offer. If you are planning on visiting Cambodia later in your trip, I'd be inclined to save it for then. While geographically popping through Cambodia makes sense, logistically (two border crossings and not such great roads and ground transport), not so much. I'd lean towards the Northeast, then Trat and Ko Kut and then onwards to Cambodia (if that is the plan). 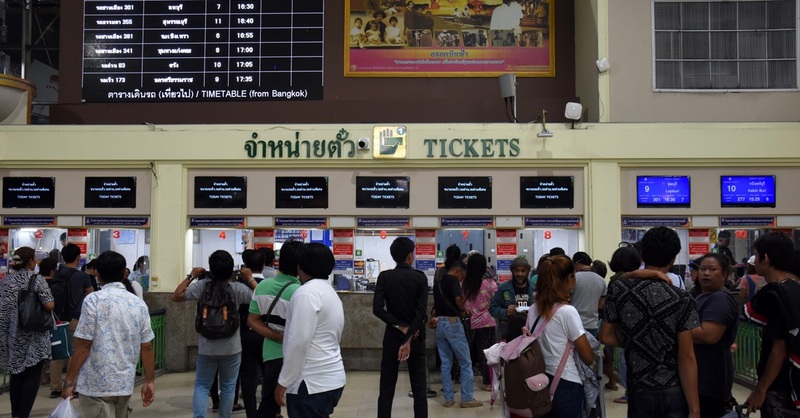 From Trat you can backtrack to Chanthaburi then head to the border crossing which will take you to Pailin, then Battambang and Siem Reap (and Angkor) or, just visit later, depending on your greater trip plans.